Andrew joined UIP, as Senior Advisor to focus on the company’s growing relationships with institutional capital partners; both equity and debt, structuring new investments, and helping to build out UIP’s Online Investor Portal. 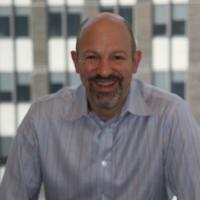 Based in New York City, Andrew has a long and distinguished career in finance and banking with top-tier global banks. Andrew also spent time involved in US real estate markets as an analyst, portfolio manager and trader of various mortgage-backed securities for a prominent hedge fund. More recently, Andrew served as a director of Mergers and Acquisitions & Financing for Len Blavatnik – Access Industries, a unique hybrid family-office/private equity firm where he completed several significant acquisitions and served on the investment committee and several corporate boards. Since his retirement from Wall Street, Andrew has pursued entrepreneurial interests, private investing and advising on capital markets and risk transfer transactions for European banks. Andrew is a graduate of Columbia University School of Engineering where he received a BS in Operations Research and a MS in Financial Engineering. He remains actively involved at Columbia where he guest lectures, has served on the Entrepreneurship Advisory Board, and now mentors students creating tomorrow’s great products and companies.